Steve Morvell is a highly acclaimed environmental artist, dedicated to raising human awareness of the beauty and fragility of wildlife and the habitats in which we co-exist. A deep need to understand animals on their own terms takes Steve to many wild places researching his art. His powerful and evocative work is exhibited around the world winning many major art awards and hangs in private, public and corporate collections. His art has been widely featured through Television and radio including an ABC Wildscreen documentary. He has also featured in books including ‘Fifty Australian Artists’, ‘Who’s who of Australian Visual Artists’, in many magazines and on Australian Postage Stamps. His was the first wildlife art ever to be featured in ‘Australian Artist’ magazine where he appeared as the cover artist back in 1987. 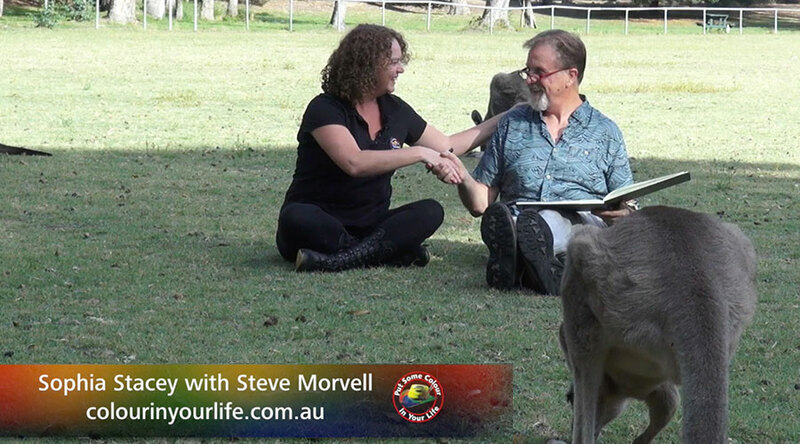 Steve Morvell’s deep need to be with animals compels Steve to study his subjects in the field, often spending long hours observing animals in their natural habitat. Steve’s artworks capture delightfully intimate encounters with shy and elusive species. His recognition of the spirit of the bush and its creatures leaves a lasting impression on the viewer. Working in a wide variety of mediums, Steve Morvell believes that to do justice to the subject and to produce truly great art, one must be openminded in approach and method of portrayal. He carefully selects the most appropriate and dynamic medium for each idea. Steve’s unique works encompass pastel – drawing and charcoal paintings, pencil drawing, brushed carbon ink, pen, watercolour, acrylic and even enamels and bronze on large scale outdoor works. In the field of wildlife art he has a reputation as an innovator and his works are aimed squarely at one thing…….. giving the viewer a real sense of ‘being there’!